I believe that it is through being creative that we reach our potential as individuals. Those moments when I have felt most alive or inspired are during moments of intense creativity, or of deep-felt emotion. Creativity, like emotion, brings out the best in us and perhaps is as close as we get to spiritual insight. So to answer the question, I have a deep desire to be creative and have found writing to be cathartic. I used to think I was good at acting too and still do some amateur ham-acting, but I think dreams of Oscar-winning glory are probably beyond me now. I began writing at an early age but never quite knew what to write or how to go about it. University gave me time to express my feelings in the form of self-indulgent doggerel poetry, which I hope will never see the light of day, and I also wrote some shockingly bad scripts and plays. The first stories I ever wrote were ill-disciplined and overwrought with intentions. But I do believe a writer has to write a lot of crap before finding a voice. To what extent has the work of other writers influenced you? I’ve always loved reading and did the classic child thing of reading at night under the covers with a torch. My imagination was initially captured by Enid Blyton and classics like ‘Wind in the Willows’. As a boy I loved DC comics too and still enjoy graphic novels as a guilty pleasure. But a big mention has to go to Michael Moorcock. At about the age of thirteen I read The Winds of Limbo (aka ‘The Fireclown’), and some of his short stories (‘The Deep Fix’, ‘The Golden Barge’). Their originality, mind-bending concepts and glorious vocabulary had me transfixed. I didn’t know such wonders could be so freely available. I quickly progressed to the Eternal Champion cycle, before graduating onto Gloriana’ and Mother London. I became a bit of a Moorcock completist devouring his psychedelic, phantasmagorical prose. Moorcock’s link with Hawkwind also helped me develop another love: heavy rock. Two other authors who affected me deeply are Herman Hesse and Mervyn Peake. There are so many books and writers. One contemporary author worth mentioning is Graham Joyce. I love books that force me to use my imagination or that explore emotional or spiritual realities. What aspects of life motivate you to continue writing? It’s important to be the best person you can be and not just give up when life seems hard. Becoming a writer (and I am still at the beginning somewhere) is bloody hard. Rejections and bad reviews really hurt and it would be easy to give up. At the moment my writing doesn’t pay the bills or mortgage, so it would be easy (and possibly more responsible) to give up and do something more financially lucrative. But if I did then I wouldn’t be happy; and surely being happy and enjoying a good quality of life is worth more than becoming a victim of the rat-race. How do your family and friends respond to your writing ambitions? I’m lucky because my family are immensely supportive. Having two wonderful daughters inspires and motivates me to be a good dad and role-model. My wife, Sandy, has always encouraged me, especially when I suggested working part-time. It went against my male instincts to become the lower-income earner, but Sandy was an immense source of strength in those times of self-doubt. I worried that people would consider me a selfish dreamer failing in his duty, but I found family and friends to be positive and even intrigued by what I do. My parents have always been open to me doing things is a less conventional way. They dutifully read my work and are always encouraging even if some of it is not to their taste. Thankfully they keep any bitter disappointment to themselves! Since having children (they are now 7 and 5) I have had less time for writing. Whilst the girls were little, my wife also went part-time so that we could look after them ourselves. That’s still the arrangement now, but now they are both are at school full-time so at last I have two days a week wholly dedicated to writing. It’s like a gift. I have been given this gift of time which I must not waste. (You’ll be glad to hear I cancelled my Sky Sports subscription). Tell me about your work. What genres are you most comfortable writing in? I enjoy writing horror, slipstream and comedy or just about themes that fascinate me such as spirituality or relationships. There are fantasy or gothic elements in much of my writing. Even my most ‘realistic’ stories contain unusual motifs or something slightly out of the ordinary: mostly because life is anything but ordinary. Reality contains fears, joy, dreams, emotions and that indefinable sense of the numinous. I want to capture in my writing those moments when life is exhilarating, transcendent, intoxicating, ghastly, unnerving, provocative, absurd or just plain inexplicable. I agree with Moorcock who breaks genre boundaries. He boldly stated that there are no genres – just good writing. Writers should be able to dip into genres and use them as resources to make a story more profound or to help engage the reader. The general public need to be a bit more daring in what they are willing to read. Reading is a sensory experience and just as many of us are willing to see different types of films, we must also be willing to try out different forms of literature. Are there any subjects that are taboo for you? I believe in freedom of speech rather than censorship, but I have a personal moral code and as a parent I believe children need to be protected until they are emotionally ready to confront certain horrors and taboos. We have a duty to young people to prepare them for this amazing and dangerous world. This is an interesting question for me, because for three days a week I am a secondary school teacher. I have to accept that when my stories are published it means my pupils will have access to them. Some of my stories are not suitable for the younger children I teach, so it worries me about the overlap between my role as a teacher and as a writer. It’s a concern that I haven’t worked out the answer for yet. I’m still waiting for a complaint from parents who feel I’m not suitable to be teaching their child. In my mind the two roles are separate. What are your thoughts on the way literature has developed over the years? The development of literature is being seriously limited by a very conservative publishing industry. If you don’t fit into an existing successful and easily marketable genre or you’re not a celebrity, then it’s difficult to get a manuscript accepted or even read by a big publisher. The small presses are the real future: that’s where the experiments take place. It’s because of them that literature continues to evolve and be reinvigorated. One question keeps occurring to me: How do we get teenagers to read more books? I guess the first answer is that we need to write more books that will enthral and captivate them. The problem is that reading is an activity that demands imagination, intelligence, stamina and concentration. Unfortunately there are too many easier and more-readily gratifying alternatives. My observation of some teenagers is that with so many fun, whizzy distractions at their fingertips, the idea of having to actively work hard and concentrate on a book is less attractive. I wish I had an answer to this one. Genre fiction encompasses fantasy, science fiction and slipstream which, apart from occasional exceptions, seem unable to break out into the mainstream. Do you think this is true? I think slipstream, which has a wider brief, is more likely to break through. Some sf and fantasy can remain quite narrow in their scope and will only ever appeal to a small audience. There’s nothing wrong with that. The popularity of something is not always a reflection of its quality. I’d rather not be confined or marginalised as an author – to feel I must keep churning out the same old stuff. I have nothing against genre writing but like any art form there is good and bad stuff. There is good and bad sf; good and bad romantic literature; good and bad teenage novels. I just wish all readers would widen their interests and keep challenging themselves to read different styles and types of writing. My hope for contemporary literature is that slipstream becomes mainstream. I have written on this very topic on my blog at jeffgardiner.wordpress.com. My initial publishing success was with non-fiction. 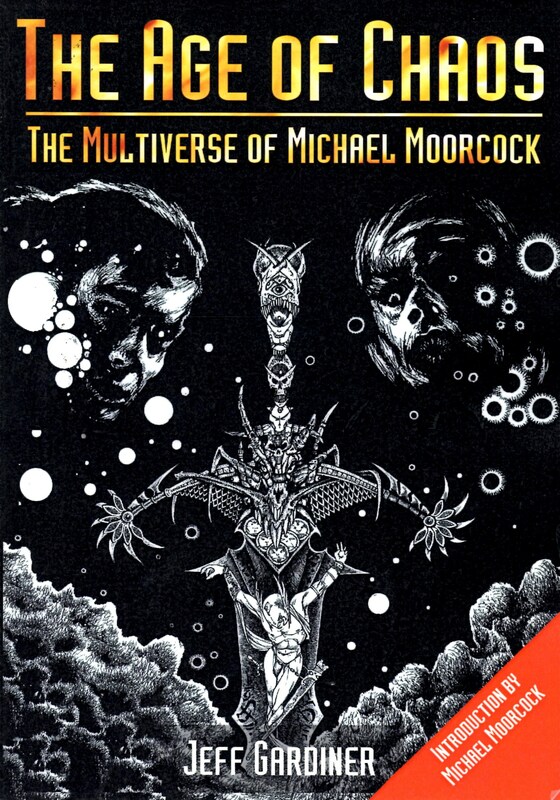 My book, The Age of Chaos: the Multiverse of Michael Moorcock, was a heavily-edited adaptation of an academic thesis with all the dull bits removed. I wanted to show how Moorcock’s work is worthy of study as he is often maligned as a pulp writer. Books such as the Dancers at the End of Time series, the whole Jerry Cornelius mythos and the Col Pyat tetralogy are too good to be ignored. I’ve had some success with articles – many about early fantasy authors. For a while I was a regular columnist in the BFS’ Prism and with Wormwood and Alien Online. I even had a number of articles translated into German. As a film buff and rock music fan I dream of becoming a film critic or music journo but I probably need to actively do something about it rather than just wait for Empire or Classic Rock magazine to come to me. What are the main differences in the way you tackle different types of writing? Writing non-fiction involves clearly expressing opinions or informing the reader on a topic having done extensive research. It requires a strictly logical approach and perhaps a more populist appeal. Fiction, on the other hand, needs a more individual voice and demands that elusive quality: the imagination. Some writing tutors advise “only write what you know”. Hmm. That’s true for non-fiction to an extent, but how many great novels would not exist if the authors had taken that advice? What would you say are the most important qualities for a writer to possess? I read a long time ago that you need “a hide like a rhinoceros” to be a writer. Do you think this is true? Yes, you definitely need to be thick-skinned because unless you are a genius you will have to deal with rejection … lots of it. So you need self-belief, which doesn’t come naturally. Being a parent is a good apprenticeship as I constantly doubt I’m doing as well as I should, and I did go through a harrowing period of being rejected by one daughter (”No! Mummy nicer!”). Tenacity is also a major quality. Don’t give up. If the first stories don’t sell then write some better ones. Keep having projects on the go so you’re not sitting at home pinning all your hopes on one manuscript. Being a writer is a huge risk. But each rejection and knock back is a challenge to continually improve. Having a vivid imagination is essential too. This is my weakness. I need to get better at marketing myself and networking. When my Moorcock book came out I did a lot of internet marketing and contacted local papers who were very helpful. 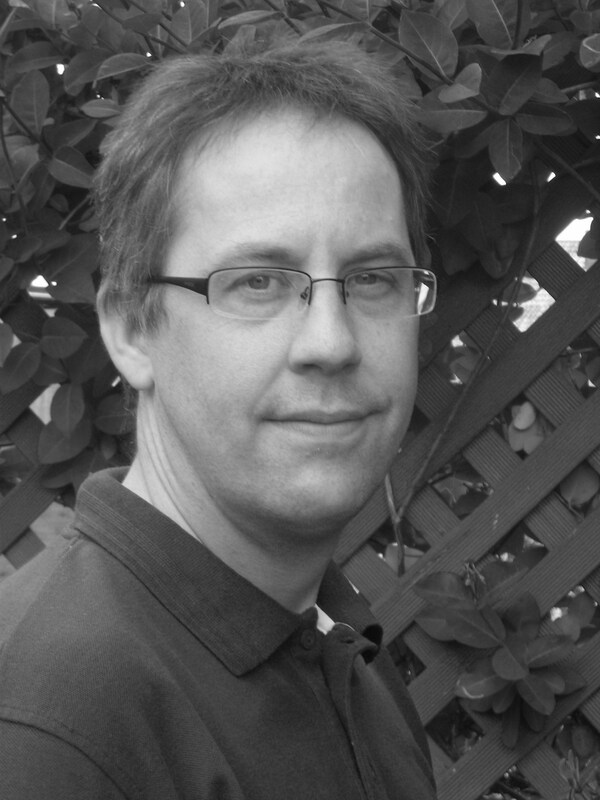 I have an old website which at time of writing is well out of date but being reconstructed (jeffgardiner.com). The biggest difficulty as a new writer is getting your name known. How many people have heard of Jeff Gardiner? Why should a publisher accept a manuscript that has little guarantee of sales? I need a higher profile and when my short story collection appears next year I’ll be thinking of ways to reach a wider audience. This interview is a fantastic opportunity for people to find out about me and my work, and for which I am very grateful. Do you envision a time when you can give up the day job? Would you want to? Unfortunately life decisions often revolve around money. We are trapped. The mortgage and bills need to be paid. Unless you marry into or inherit money then you will need some kind of income. If I was offered a big advance I’d be tempted. I enjoy my teaching and whilst it offers good holidays it is a stressful and time-consuming job. It’s almost impossible to come home from a day at school and just switch into writing mode because I’m exhausted and have marking and planning to do. What frightens me about writing full-time is the spectre of insanity. Would I become some kind of self-absorbed troglodyte with no social skills? Would I be tempted to start sipping the Islay single malt before midday? Writers also need to live life and continue having life-experiences as normal people. One of the joys of teaching is seeing colleagues and interacting with real people (including the students). What projects are you working on at the moment? Tell me about forthcoming publications. I’m working on a novel based in Nigeria during the Biafran War. I was born in Nigeria whilst my parents were out there as missionaries so I have these sentimental roots. Inspired by my parents’ stories, photos and my mum’s diaries, I’m writing about the Igbo culture, myths and beliefs from an English perspective, hopefully in a way which is fully sympathetic without being patronising. It’s an exciting and frightening tale set in an unsettled place and time as seen from the eyes of an outsider. I have two completed novels still surfing the slushpiles. One is a teenage novel with a slipstream sensibility, dealing with bullying, relationships and football; the other is a tale of obsessive love, drugs and rock ’n’ roll. I’ve also written a number of picture books for children which I’m failing to get accepted. I probably haven’t found the right tone yet to engage the younger mind but it’s a challenge I refuse to give up on.